If you haven’t driven or strolled down L Street between 5th and 7th lately, this is the new view taking shape. The Macy’s men’s store and the north section of 515 L Street is being demolished. This week with the help of skid steer rental in Seattle a temporary soil shoring wall on the south side of the site along L Street is going up. Debris is being sorted and hauled off for recycling and one of the largest excavators on the West Coast can be seen in action (used excavator for sale was also assisting). 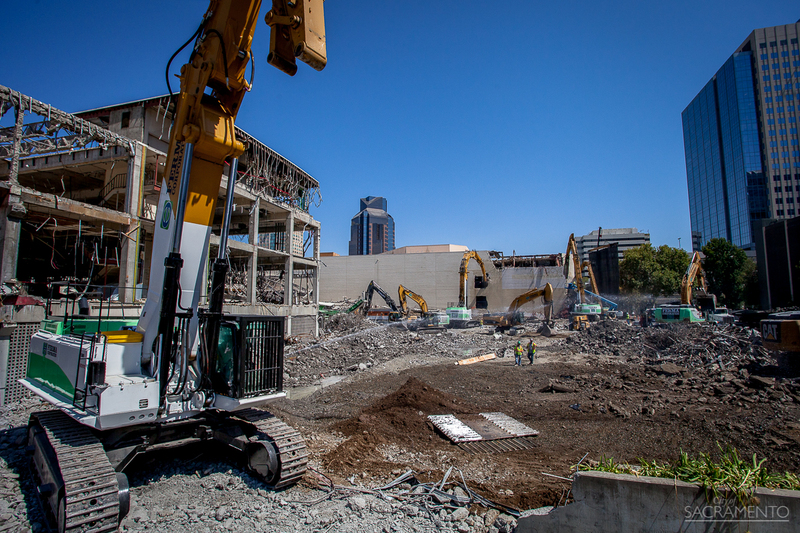 Time to see the arena site up close via these photos taken by the City of Sacramento. 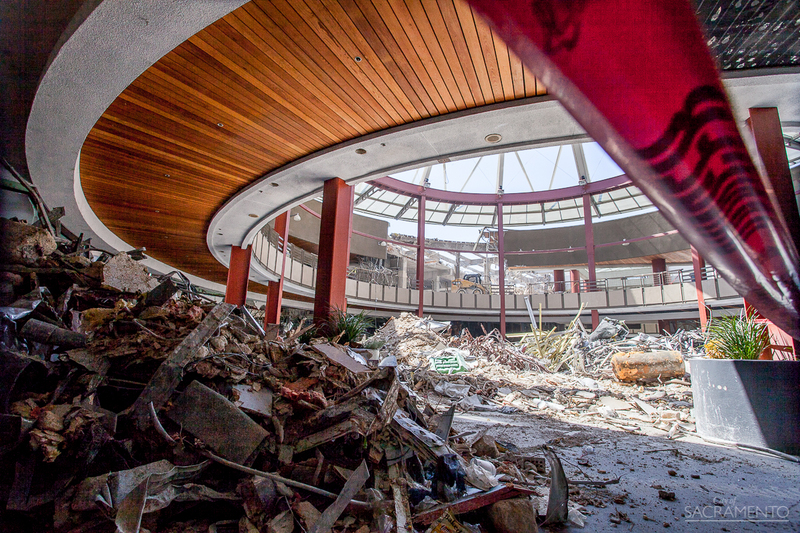 As evident by the sorted piles of debris within the mall rotunda, being inside the structure is an odd experience. Pedestrians and shops are replaced by tidy piles of leftover demolition material, the majority of which are being recycled and to be used in the new structure. A worker sprays water on the structure being demolished, to reduce dust particles in the air. 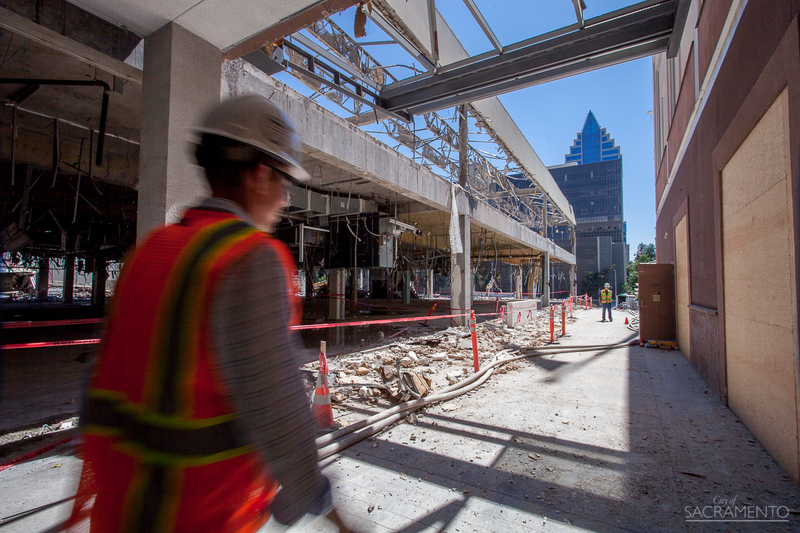 A portion of the underground parking area has an eery feel as construction undergoes outside. Areas where shops used to be a gutted, in prep for more major demolition. Up close on the leftover debris that is being sorted and will be reused. Construction will mean a few changes for motorists, bus riders and pedestrians. Please visit Traffic Alerts for details, or sign up to receive City-wide automatic alerts. For more information on the arena construction, please visit the King’s construction webpage Make sure to sign up for email updates to stay up to date.